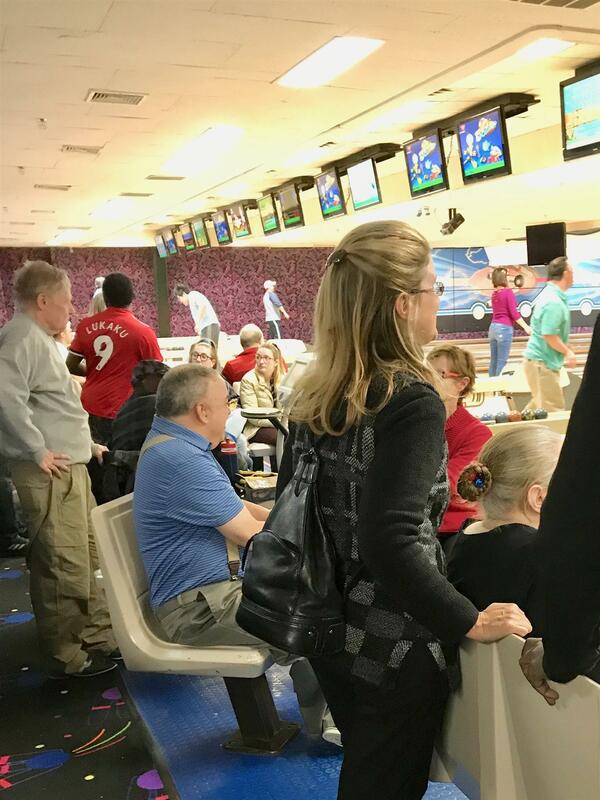 At Bowladrome in Acton on the Saturday after Thanksgiving a great time was had by all....our Minuteman Arc friends, Rotarians, and guest volunteers including Sarah Robertson and Kevin McConnell! Here's our organizer, Sharon Spaulding, cheering the bowlers. Let's keep up this traditional post-holiday event!